We certainly did GO Get Organised this week! 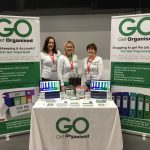 What a week it has been here at GO Get Organised and GO Get Organised Finance. We have freshened up the brand and worked hard to increase the number of business services that we can provide. We really want to help businesses to ‘have it all in just one call’; our support comes at very affordable prices and we have an experienced team with a wide range of skills. The new websites have been a hit, and we hope that you like them. They are an example of the websites that we can offer. This website would cost only £365 + vat. We do like to practice what we preach! 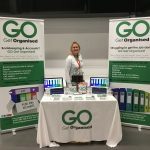 Also this week we attended the Business Showcase Southwest at Ashton Gate Stadium for the first time. Wow, what a big show! It was a great experience for us – we met so many lovely people and definitely hope to return again next year. 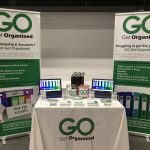 Here are a few pictures of the stand and the team on the day -hopefully you can spot our new GO mugs and pens! 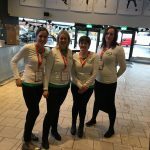 Thank you to all who gave their time to come and meet us at the show.